Along the same lines as the Peanut Butter and Oat Bars or the Fiberful Granola Bars, these are pre-packaged snack bar thingies that come 6 in a pack. They're filling, chocolatey, and a good size for an in-between meal morsel. The actual product is pretty moist when you first unwrap it, but it's a texture that instantly makes your mouth dry. If you're the type that loves to drown chocolatey things with milk or a coffee-type beverage, these little bars would probably be alright for breakfast or some similar situation. On the flip side, if you're hiking or walking around in the summer heat, I personally would think these would be the last things you'd want to eat. They cause thirst. And not just thirst, but they leave this sensation in your mouth that begs for something more than water. There's still an aftertaste even after a few swigs of H2O. Sonia thinks the chocolate tastes a bit like carob in this case, and I agree. It's a "healthy" chocolate taste. It's "oaty." Which, of course, isn't that bad if you're a fan of carob and oats. The icing drizzle on the top of the bars is sweet and tasty, and both Sonia and I wish there were more of it. All in all, because of this product's heavy, oaty chocolatiness, I think this is more of an autumn/spring pseudo-healthy morning food than an indulgent, refreshing summer afternoon snack. But not bad in a pinch. Just be sure to have some milk or creamy coffee on standby. Sonia gives these bars 3.5 stars. I give them 3. 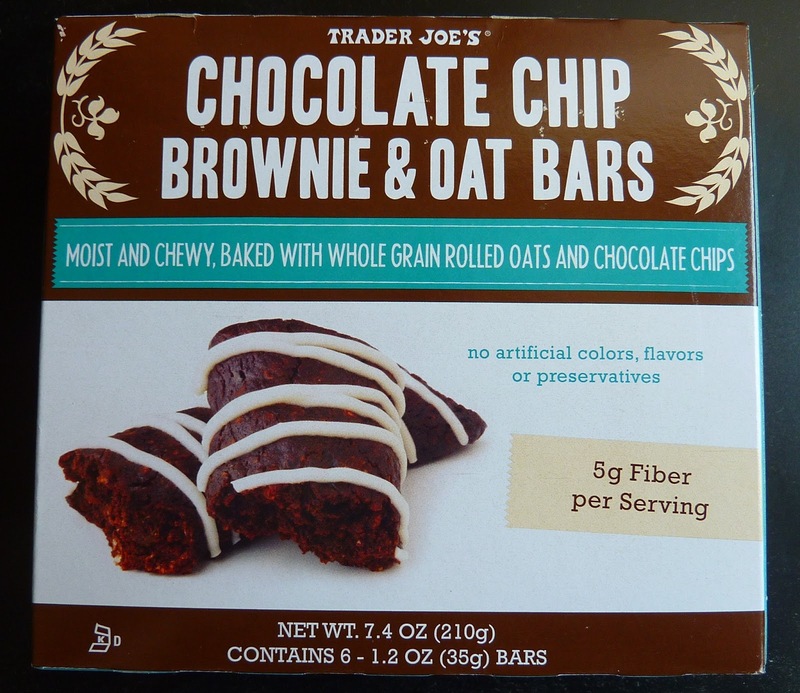 I'm a huge fan of these bars, although I agree that they sort of taste carob-y more than chocolaty. They're a yummy pseudo-healthy lunchtime dessert! I hear ya, Beth. As long as you're down with the carob-esque-ness, these would be pretty good. These bars are almost an exact replica of the Chocolate Brownie flavor of Kid's Clif bars, same calorie count and everything. 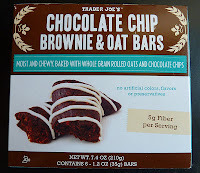 The Clif Bar version has a chocolate drizzle and is a litttttle more moist, but both are decent. Beth: Great idea about warming in the microwave. I'm going to try that.